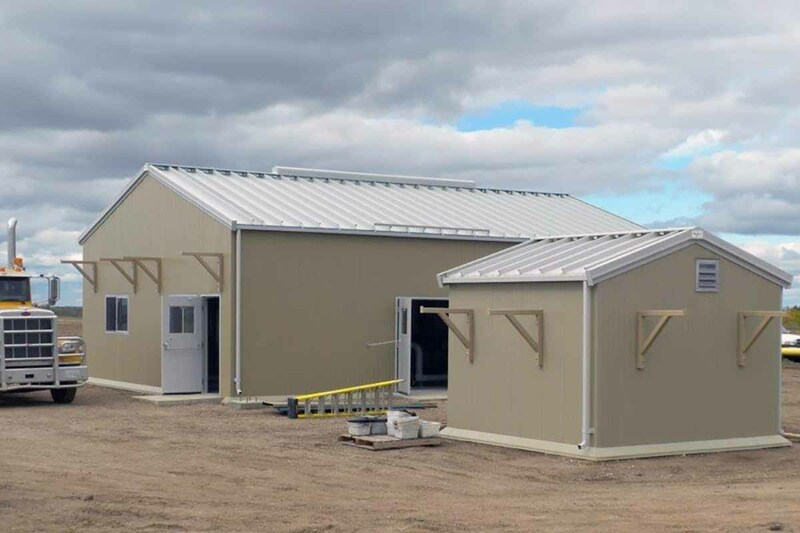 Vertex Self Framing Metal Buildings are designed and manufactured out of our Facility in Blackfoot, Alberta near Lloydminster. 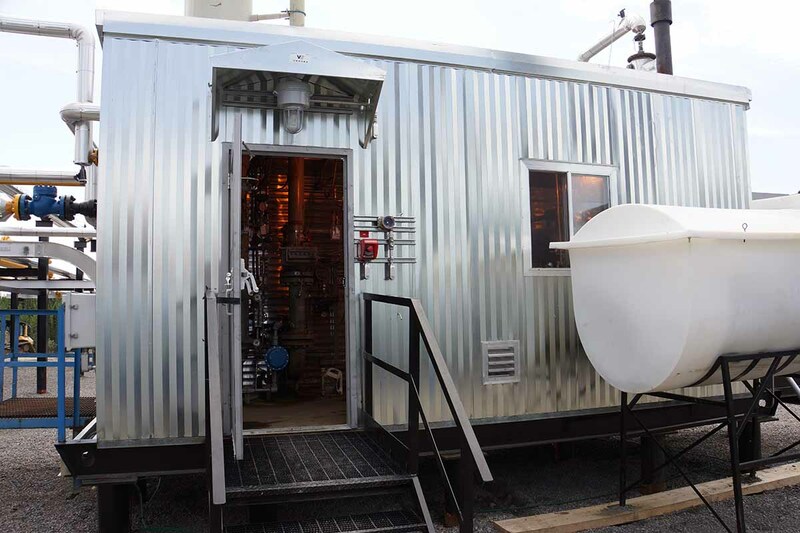 Erected at our facility, on site or shipped as a knock down package for customer installation. Provided on custom manufactured skids or customer supplied bases. 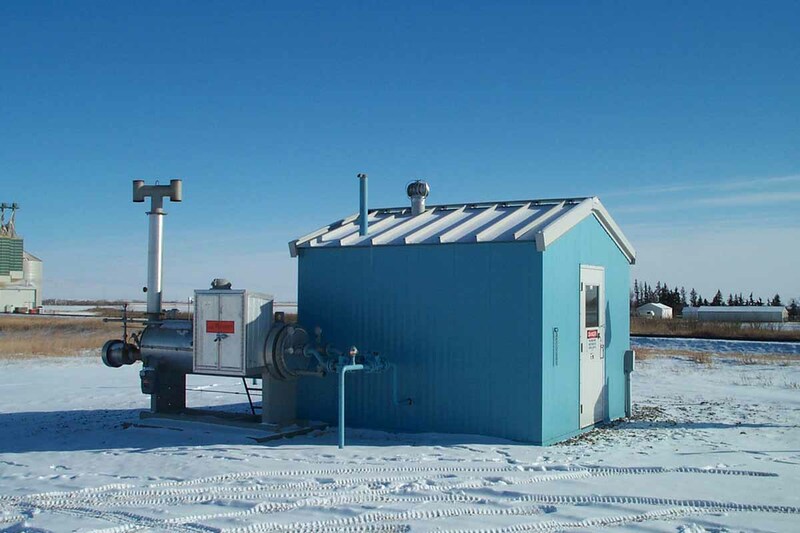 Vertex is able to provide acoustical enclosures for areas sensitive to excess noise. 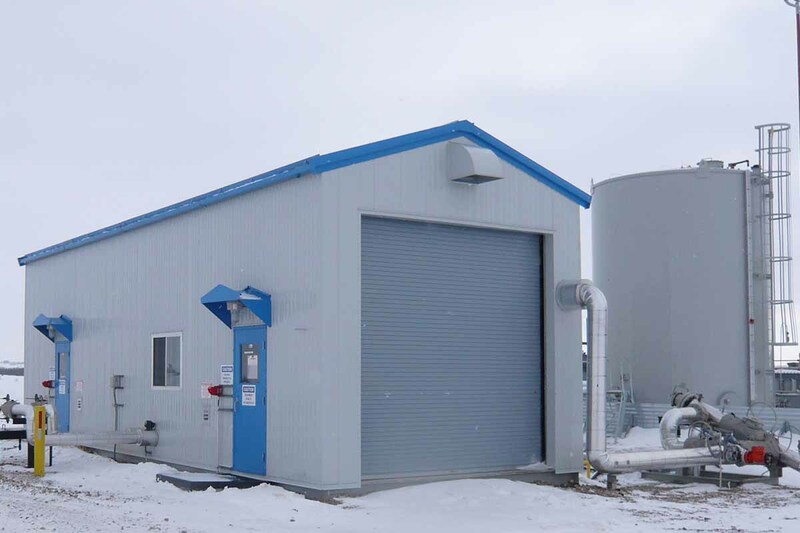 These units are custom manufactured to clients needs and noise levels required.